It takes only 2 hours to charge the watch. Recognizes selected activity and records the data on it. 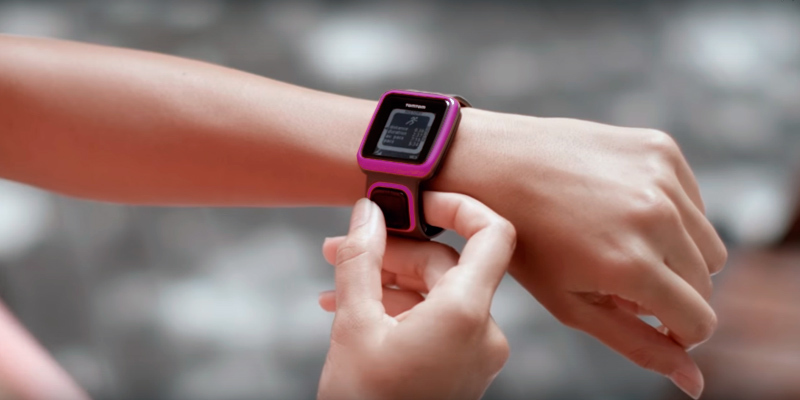 No need to start/stop a workout manually since the watch starts tracking your activity automatically. The watch cannot be immersed in water. This elegant and cutting-edge running watch will help you keep in trim. Set a goal and try to reach it, track your activity, share your records with friends and compete with them. Receive notifications of incoming calls and texts right on the watch and keep your mind on a workout instead of looking for your phone. An ideal device for professional athletes due to the ability of pairing with a chest type heart rate monitor. It tracks your activity 24/7 and ensures maximally accurate data. Extremely light and waterproof device suitable for swimming in the pool. Virtual partner function will help you find a competitor for your workouts and beat your own records. Lacks syncing capability to a smartphone. 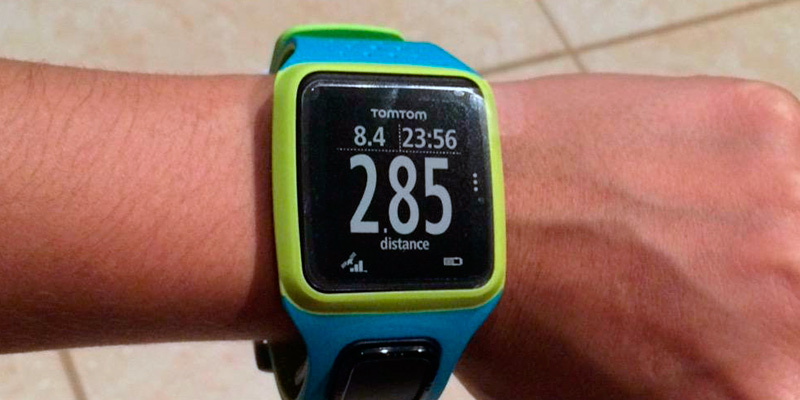 An affordable GPS running watch for athletes who require maximally accurate data on their activity. Available in various colors. A built-in USB port in the clasp of the watch allows you to both charge your device and sync up your data. Nice backlit display for comfortable workouts in the dark. The watch loses time and date settings in case of complete battery discharge. Nike Plus looks like an ordinary wristwatch but serves as an irreplaceable fitness device for people who lead a healthy lifestyle and try to beat new records in their workouts. Intuitive one-button control doesn't require any special skills to use this running watch. The backlit display is perfect for training at night time. Sometimes it takes longer time to determine your location via GPS than usually. The running watch with excellent functionality at an affordable price. Great option for both professional athletes and amateur sportsmen, that allows daily monitoring of records and competing your own results. 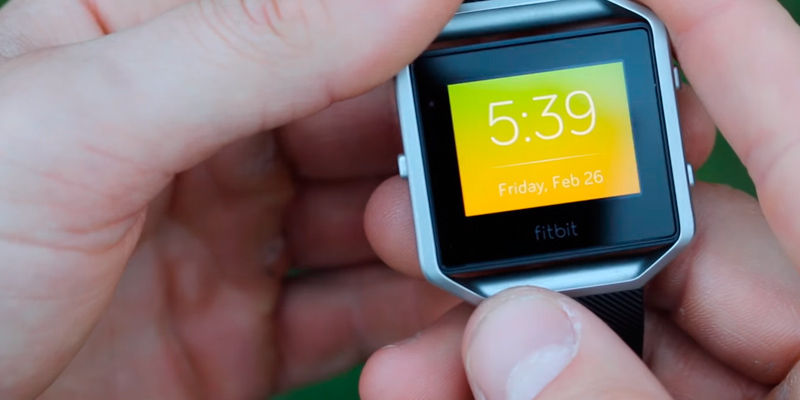 We've come to a conclusion that Fitbit Blaze running watch is a must-have for people who want to track their workouts and look stylish while wearing the watch. The running watch is designed with a colorful touch screen display with four watch faces to choose from. You can buy additional wristbands of different colors and materials (leather, metal or rubber) and change them according to your outfit. 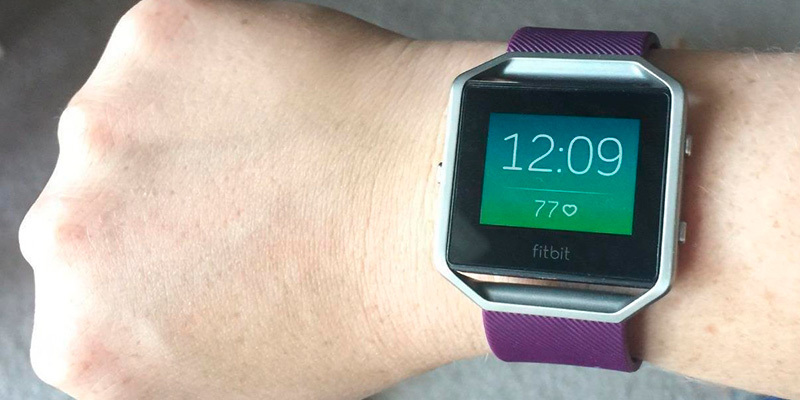 All in all, Fitbit Blaze looks stylish and neat on your wrist. 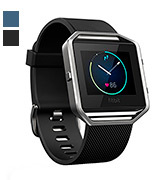 Fitbit Blaze running watches will assist both professional and novice sportsmen during workouts, showing their exact results and motivating to do more. The watch tracks down not only steps, distance, and calories but also comes up with a useful step-by-step guide and coaching tips to help you out during training. We’re more than sure, this handy feature will come to liking to the novice who’ve just come to doing sports. The other feature that distinguishes Fitbit Blaze running watch from most other models is its built-in optical heart rate sensor, using which together with a chest strap will show you precise readouts on your heart rate so that you don't overtrain nor overload your heart. We were quite surprised with autonomous work this watch provides - up to 5 days on a single charge. This means you would spend considerably less time on recharging and be able to use the watch anytime you go down to the gym. A full recharging takes about 2 hours, which isn’t particularly long, so that’s the only hours you'd need to wait before fixing the watch to the wrist. 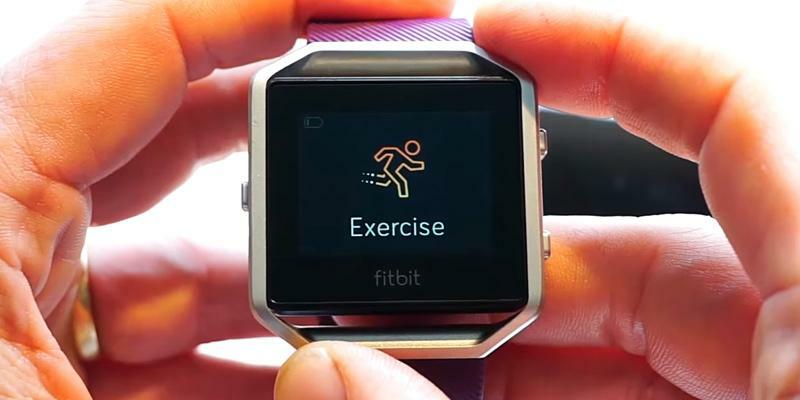 Fitbit Blaze running watch keeps the track of your activity and instantly recognizes what you do - running, jogging, walking, etc. That’s become possible due to the data storage on all your activities in a special app. The data is kept there for 7 days. Such peculiarity rids you of the need to sync the watch with a computer to share your results with the others. You can do all the same right from the watch. Fitbit Blaze continues working even after you go to bed, tracking your sleep phases and slightly vibrating when it’s already time to wake up. Running is a key part of a human well-being. Scientists claim that running helps prevent obesity, heart disease, high blood pressure, strokes, etc. What’s more, running vastly improves the quality of our emotional and mental life either and significantly prolongs our lives. But even that isn’t as important as the fact that running can raise our spirits by boosting human organism to produce more endorphins - a hormone responsible for our mood. Girls who’re eager to lose weight are recommended to run as well. In all, running is a universal kind of sports that strengthens our knees, helps build endurance, improves the immune system and the lungs, and what’s more important, reduces cancer risk. So, the only advice we can give is to start running! The sooner the better! Ping pong is one of the most exciting games to play with friends. Select a table tennis table and enhance your skills! It should not go unnoticed that Polar running watch is designed not only to track your activity but also monitor your recreation. The Recovery status feature estimates how much training load you can tolerate and shows you the time necessary to recover before your next training session. 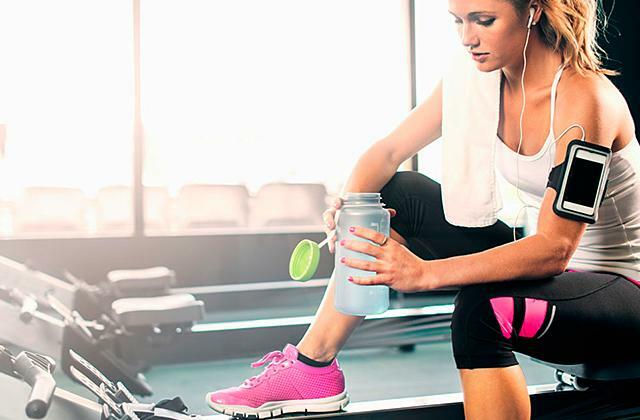 In our opinion, this feature is meant to help you plan your future training and keep the balance between training and recovery time. What's more, you can look through your daily/weekly/monthly stats right on the watch's display and thus, analyze your activity and set new goals. 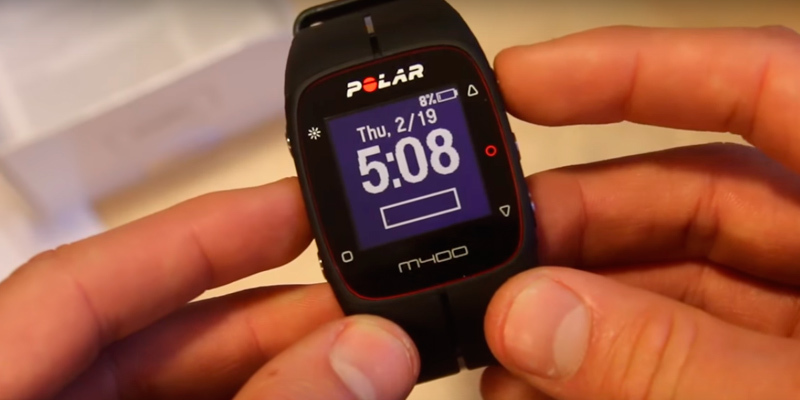 The Polar running watch is also a great option for lazy bones owing to the Activity guide that shows how active you’ve been during the day and gives practical guidance for reaching your daily activity goal. What can be better than such strong motivation? If you’d like to compare workouts and see which one has had a better effect on you, use Training benefit option and have a quick overview of your activities. Or use the watch to prepare yourself for a real marathon by making up a training plan on schedule with useful tips. Those who want to lose some weight generally keep a diet or torture themselves with different procedures at SPA. We all know that these measures are quite costly and not always efficient. Today we'd like to shed the light on one of the most effective and absolutely affordable for anyone way of losing weight - running. Run regularly, twice a week at least. Try to jog at 5-7 km an hour and monitor your heart rate; it shouldn't go beyond 150 bpm. 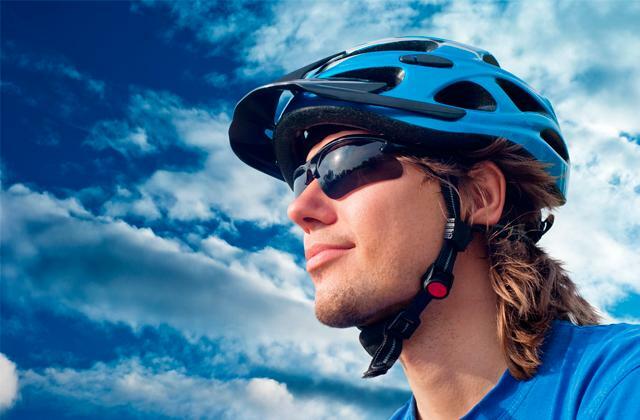 Wear a windproof suit to greaten perspiration, for when you sweat profusely, your body excretes toxins. That's is why running is a really healthy sport. You should also eat the right foods to enhance the results of your workouts. Drop sweets, fatty, and spicy food from your diet. Consume less salt - a big amount of salt in a human body retains water and consequently, leads to the weight gain. Don't expect to get slim in a week, you will see the results but in several months. Remember, your body requires some time to adjust to a new way of life. A treadmill is the best way to keep fit and look after health! We chose five best models to help you get more from your workouts! Garmin running watch is truly the best running watch for professional athletes who need to track their activity on every lapse they cover with the highest accuracy! Garmin company is the leading manufacturer of navigational aids and that's why Forerunner 15 guarantees the most accurate information on your route and offers you an ability to examine data on each km of the distance you've covered by installing Garmin Connect app. Whether you are running in the city or in the woods, the very GPS watch is always aware of your location, tracking down your distance, steps, calories burnt, heart rate, and alerts you with a beep sound when you've beaten your previous record. Certainly, the GPS discharges watch's accumulator really fast as it constantly requires connection to the satellites to determine your location. And we should also mention that Garmin running watch comes with a quite powerful rechargeable battery that lasts for about 5 weeks in watch/activity tracking mode and up to 8 hours when the GPS is on. Such long-hour performance will be highly appreciated by sportsmen who need to use the watch on a daily basis. 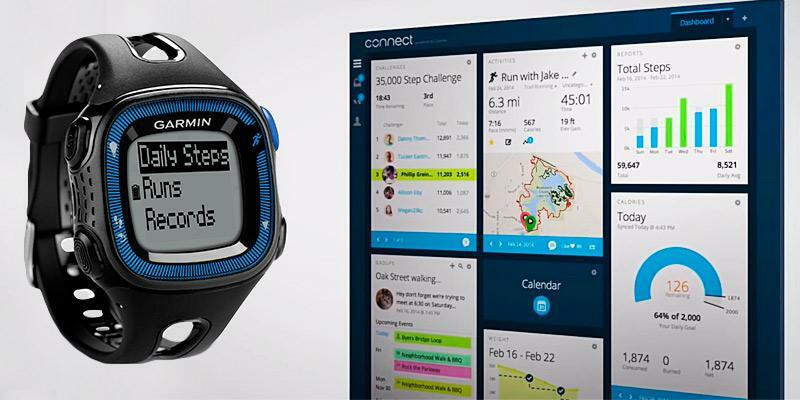 Garmin running watch connects to a computer in a flash (be it Mac or PC) and instantly uploads your results to Garmin Connect fitness community via Bluetooth. No need for USB cables and manual data transfer. The process is fully automatic. Besides, you can store and track your workouts right on the computer, build the map of the routes, see the details on each covered mile and summarize the activities. Share this information with your friends and join online challenges for extra motivation. 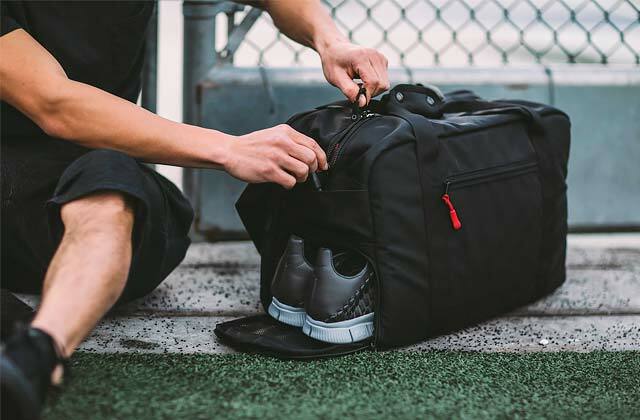 When it comes to choosing workout garments all you need to have are comfortable running shoes and socks, shirts, pants, and shorts made of materials, which pull sweat and moisture away from your skin. If it's cold outside, do not put lots of clothes on since even several minutes of jogging will make you hot pretty quick. It is preferable to wear tracksuit bottoms, rollneck, and a lightweight hooded windbreaker jacket. Don't even think of peeling off both while you are running and right after that as you may simply catch a cold. In regard to the underwear, try to avoid wearing cotton items since cotton absorbs sweat and traps cold. And what's is really important comfort wise while running in the evenings is wearing a reflective vest so that the drivers could spot you against the dark. 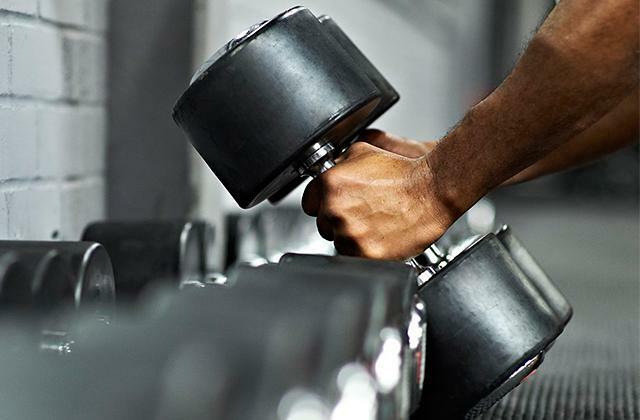 For all those trying to build big muscles, weight gainers will come in handy. Everyone who’s going in for sports like seeing the statistics of personal activities so as to make up a new plan for improving results. The moment a set goal is reached, we all get motivated to train harder. Therefore, keeping track of our personal activities is quite important. 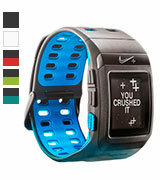 Nike running watch has been designed to satisfy that need, all functions and options provided. The GPS feature allows tracing the route, the speed, showing detailed information on each covered mile. You can pair the watch with a heart rate monitor (not included and should be bought separately) to know whether the load on your heart isn’t dramatically huge. All results can be viewed in Nike Plus GPS SportWatch app right on the computer, so, keep on running and monitor your personal progress. 1. In 1994, Nike Corp. and Michael Jordan signed a contract on production of new sports shoes (even though at the time, Michael Jordan was far from being at his peak of success). When the pair was finally released, he used to wear it in the field, each time being fined $1,000 for wearing red and black shoes, the colors not allowed to wear during game. Yet, such punishment didn’t constrain him from wearing Nike shoes but only increased his popularity around the world. 2. Michael Jordan received the payment from Nike Corp for 1997's advertising campaign that went beyond the Malaysian workers' salary put together. 3. The 1992 Summer Olympics were held in Barcelona where men's Olympic basketball team, nicknamed the "Dream Team", was the first American Olympic team to feature active NBA players. But, the whole team didn't come onto the field because they wore the apparel under Reebok brand. The reason for that was the contract awarded to Nike Corp.
4. Nowadays almost 95% of basketball shoes bought in the USA are manufactured by Nike. Compression socks are what you need to have to make your training sessions more effective and fruitful. It is a common knowledge that TomTom is the global leader in manufacturing navigation and mapping products. The company has gained its popularity for excellent locational accuracy, map's fullness, data actuality on traffic congestion maps, etc. 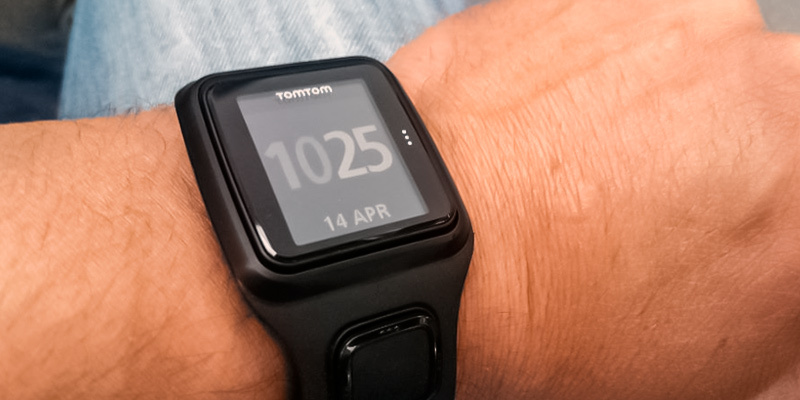 In 2011, TomTom teamed up with Nike to create a fitness watch and after that, the company decided to launch their own product which would combine great performance and GPS accuracy. 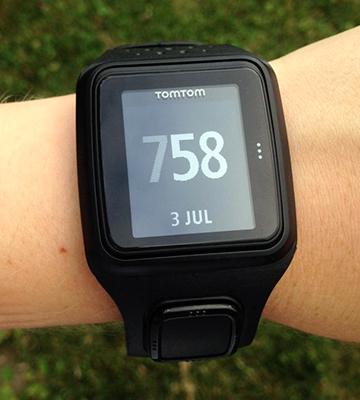 That’s how TomTom running watch has appeared on the market. 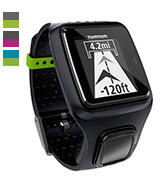 Today the watches under TomTom name show self-contained functionality with all the settings for comfortable use. They are also available in different styles to match any personality. Control and adjust the settings with a single button, without making breaks from your workouts. 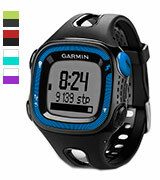 What we really like about this running watch is that it features GPS + GLONASS and QuickGPSFix technology. It allows you to track your running routes and obtain a precise starting location really quickly. Thus, you will surely get a fast start to your run. All in all, TomTom running watch perfectly tracks down your route and comes up with most accurate data on your speed, pace, goals, lapses, and intervals of both indoor and outdoor activities. Running should bring pleasure. If you grow tired during the route, change activities, from running to quick walking. The only rule is not to stop. Your muscles require a good warm-up before running. Start from jogging, jumping or just swing your arms for at least 10 minutes. The crucial feature for quality running is smooth movements. Try not to bounce and keep your back straight and relaxed, not bent at the waist. Proper breathing technique also plays important role in your training. 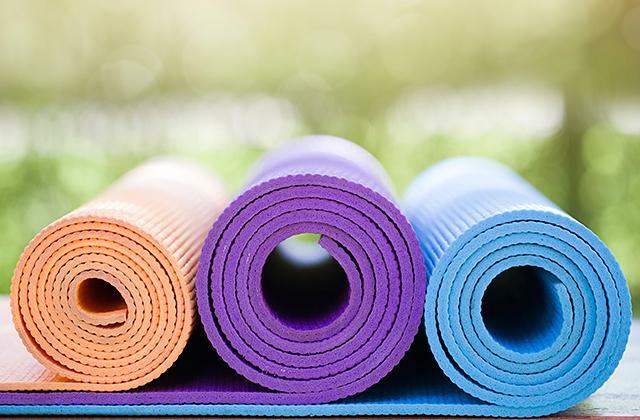 Practice deep belly breathing and try to inhale through your nose and exhale through your mouth. When breathing through your mouth only, a human organism signals the brain that's something goes wrong and you are suffocating. Train this breathing technic and you will get used to it soon. You should move at your own pace, keeping breath even. There’s no need to beat other runners’ records unless your body is ready for that. Keep up with your own rhythm and build up endurance. Take no notice of the covered distance during the route. If you are a new runner we recommend you to train alone since you may not keep up your companion's pace and thus, overtrain and overload your heart. Listen to the music while running. Put on pace for the last 30-50 meters of your route for your muscles to get over with the load. For all lovers of soccer, we've prepared our recent review on the best pairs of soccer shoes. Did you know that running is one of the most effective and healthiest sports activity? This aerobic training shows the positive effect on the heart-vascular system and immunity, improves your metabolism and prevents cellulite formation. However, there are plenty of kinds of sports to go in for, but running is still the simplest and the most popular way to get fit. To enhance your training, you should definitely opt for a running watch. 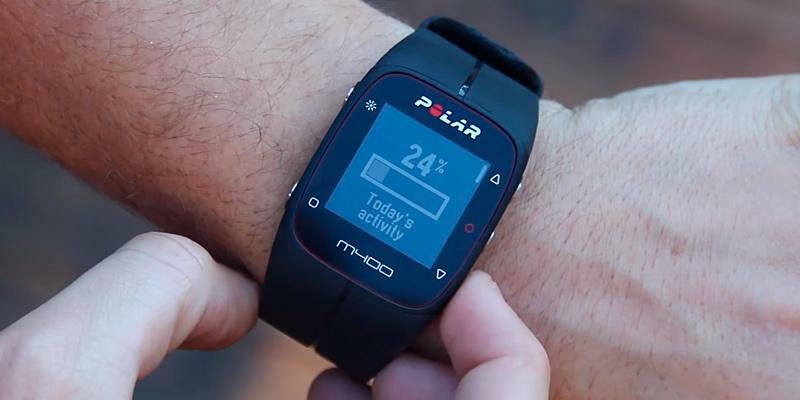 It tracks time, distance, speed, pace, heart rate and calories. 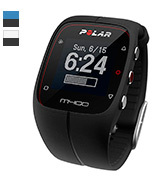 Moreover, the running watches are equipped with numerous features and training aids. On purchasing such a helpful device, you will get a personal trainer that will motivate you to reach for more and beat your own records. But choosing the right watch is a bit difficult task taking into account so many brands and models available. Therefore, our review will help you make a pick. If you are not a professional athlete and want to know the number of steps you take during your strolls a pedometer would come in handy. But for those who aim to know their stats on daily activity, we'd recommend looking through our review on fitness trackers. 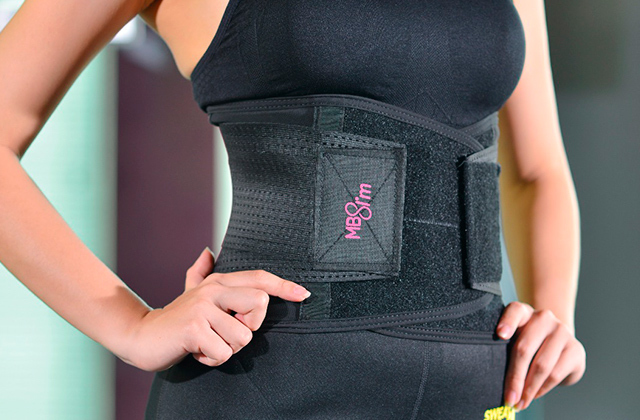 With these devices, you will enjoy your fitness workouts. The most important feature to consider is a device functionality since different models have a different set of functions and sensors. 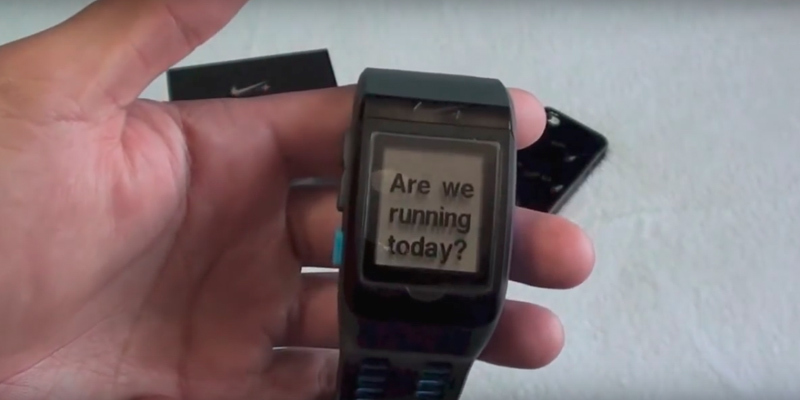 There are running watches designed for novice and pro sports performers. It is not so important for amateur sportsmen to know detailed stats on daily activity, as tracking the number of laps and time elapsed on a workout. The models for novice sportsmen are less expensive in comparison to more sophisticated running watches. However, such devices can give you enough information on your stats to keep a good fit. As regards the professional fitness watches, they feature more advanced options to meet the requirements of pro athletes. For example, these models are designed with a GPS-receiver, heart-rate monitor, altimeter, accelerometer and other sensors to track down the records of your physical activity. A professional fitness watch with a GPS records your routes, per second speed, min/average/max speed, a number of steps, distance, calories burnt etc. 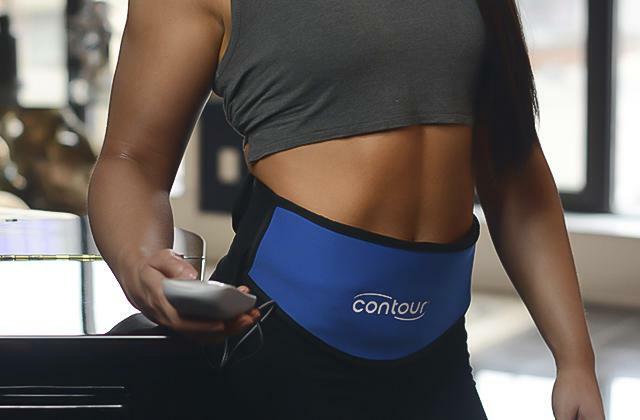 While a model without GPS won't give you specific information about the volume and intensity during and after your workout, only a number of steps and activity. The fitness watches with accelerometer "know" the difference between walking and running and thus, count your moderate steps and aerobic steps individually. We should also note that a professional running watch may be equipped with an integrated heart rate sensor or read your heart beats from a chest type device that should be worn during your workouts. The last mentioned sensor is known to be the most accurate type and is highly valued among professional sportsmen. It is able to define the critical heart load and alert users to overload risk. For contrast, built-in sensors monitor your heart-rate day and night and display only average readings. For those who want to control their sleep, it is preferable to opt for a watch with an auto sleep tracking feature. It will help you determine when it is the best time for you to get up and go to sleep to feel full of energy throughout a day. Moreover, all advanced running watches are compatible with various OS and offer you an opportunity to sync with your other gadgets. Owing to this feature you will be able to analyze your daily/weekly/monthly activity stats and even share your records with your friends on social websites. Additionally, some fitness watches synchronized with your smartphone will display your call, text and calendar notifications during workouts. 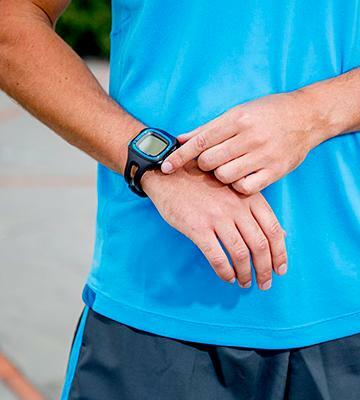 A running watch is worn on the wrist during your workouts and that's why it can be damaged. Therefore, a watch's frame and a wristband should be made of high-quality and durable materials to serve you for a long time. Moreover, a good fitness watch must be either water-resistant or waterproof. Water-resistant watches are sweat, rain, and splash proof so you can wear them in any weather conditions and fearlessly wash your hands without taking the watch off your wrist. But if you want to have a running watch for swimming you should opt for a waterproof model. Such fitness watches show high water resistance grade and can be immersed in water for up to 50m on average. A running watch should be handy. It is a crucial feature for device usability during workouts. So, first of all, look for a running watch with a convenient arrangement of control buttons. Additionally, it is preferable to choose a device with a long battery life as no one likes recharging their devices every single day. Generally, fitness watches come with a Li-ion battery, some of them last several days, while others last for about a month. To charge your running watch you should connect it via USB cable to your PC (that also serves as a data cable) or use a special charging adapter. 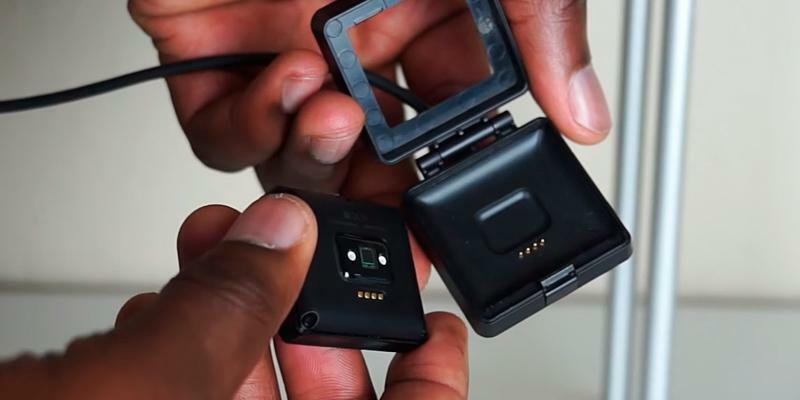 But if you prefer using devices with prolonged autonomous work, the best option for you is to go for a running watch with a replaceable battery. And finally, a large and easy-to-read display is also an important factor that impacts device's operation. Q: Why to buy running watches? A: A running watch can become your faithful companion on the way to a healthy lifestyle. Of course, you can run with your phone or MP3 player, but if you want to combine business with pleasure, you should run with a running watch. 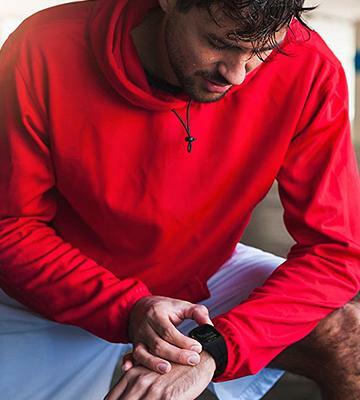 Specifically designed for all athletes and active people doing fitness exercises in gyms, running watches have nothing extra but the functions that are needed for tracking the workout progress. 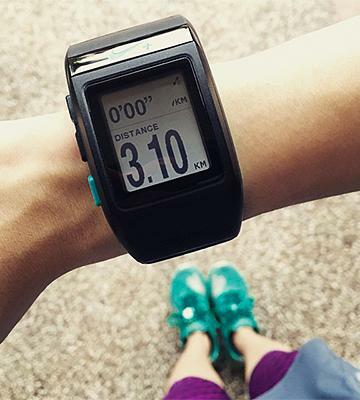 Running watches can help you track the distance, pace, heart rate, the number of calories burnt, etc. so you can stay motivated and continue with your training plan. 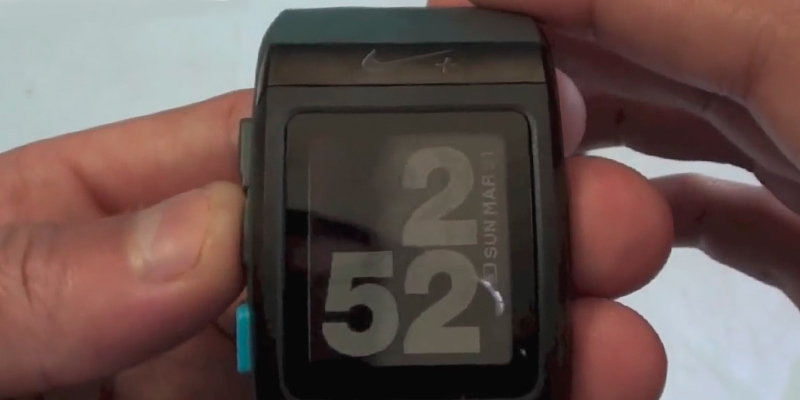 Q: Can smartwatch running function replace running watches? A: The answer depends on your plans and ambitions. If you do not plan to run more than a couple times a week, using a smartphone running function (basically, any app designed for runners) will definitely be enough. As the name suggests, smartphones fit for a lot of purposes. However, if you are a professional athlete, you may want to use something more convenient. 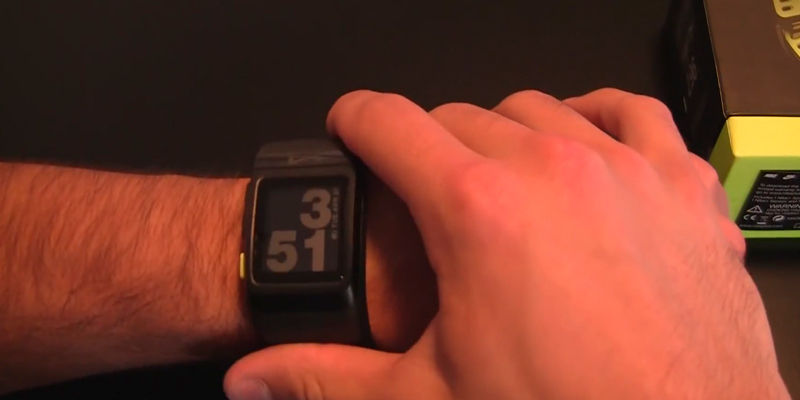 Unlike smartwatches, a running watch doesn't have any excessive functional. All it does is monitor your workout progress. Consequently, because it doesn't have any extra modes and functions, its battery life lasts considerably longer than that of a smartwatch, which means you won't need to recharge it too often. Q: What features make a good running watch? 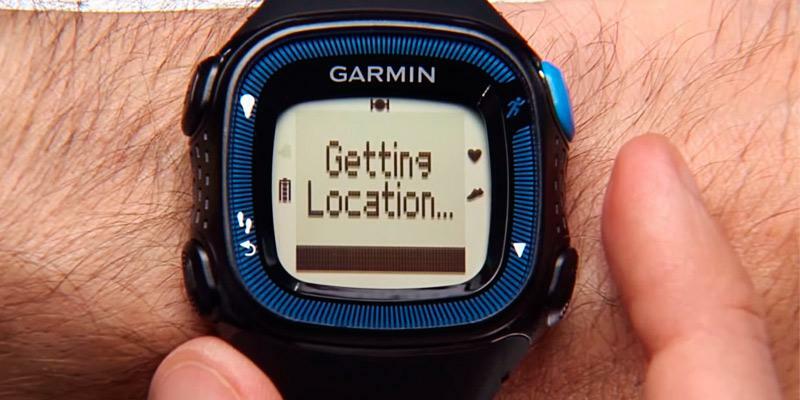 A: If you've decided to buy a running watch, you should make sure that it has a GPS function. The GPS function allows you to keep track of how long you've been out running, what distance you've covered and how many calories you've managed to burn. This, in turn, will help you understand how effective your training plans are. The pulsometer function will add up to the usability of the watch making it easy to adjust the training load. If you'd like to track your heart's rate, then make sure to opt for watches that offer pulse zone features. With these features, you'll be able to train with the right intensity without fatiguing yourself. Q: Do running watches actually work, and are they accurate? A: There can be unfavorable conditions such as irregular intervals when running watches don't display 100% accurate information, but in most cases, they are accurate enough to provide you with the right stats on your training workouts. 1. 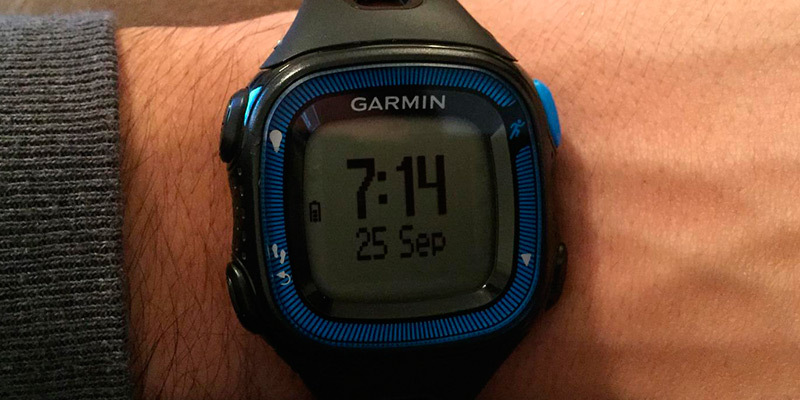 Kieran Alger, How to Choose and Buy the Right Running Watch for You, WAREABLE. May 30, 2016. 2. Dena MT Eaton, How To Choose A Running Watch, Backcountry. April 11, 2014. 3. Jediah Porter, How to Choose a GPS Watch for Running and Training, Outdoor GEARLAB. August 29, 2015. 4. 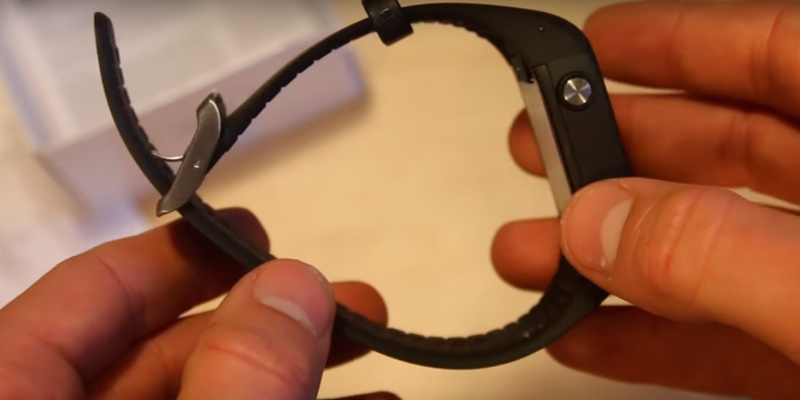 Scott Stein, Smartwatch and Fitness Tracker Buying Guide, CNET. July 8, 2015. 5. GPS Watch, Wikipedia. July 28, 2016. 6. 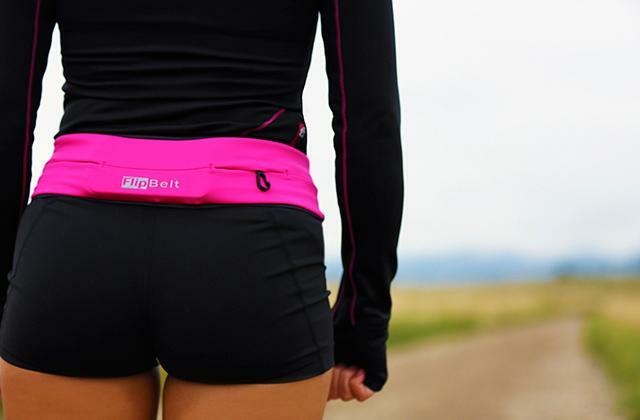 Kissairis Munoz, 30 Convincing Reasons to Start Running Now, Greatist. April 3, 2014. 7. Valentina Palladino, GPS Watch Buying Guide, Tom's Guide. February 24, 2015.